There are many characteristics to the known universe and the Earth’s immediate surroundings that suggest something like a plan. It has been noted by physicists that if the gravitational constant were altered very slightly, none of the orbits that make our solar system possible could exist. It has been noted by astrophysicists that the double-planet system of the Earth and the Moon account for the Earth’s stable axis and consequent ability to support life. For an extensive list of these characteristics, go here. This is a discussion of how such a plan might be possible and what relationship this plan may have to free will. Suppose we make the assumption that time in the universe has something like a beginning and an end. This assumption is not absolutely necessary to the theory, but it makes the explanation simpler. Suppose we think of the beginning and end of time as two templates connected by strings. The strings that stretch from one template to the other represent the paths of ordinary particles through time. The points where the paths connect to the beginning template and where they connect to the end template are fixed. 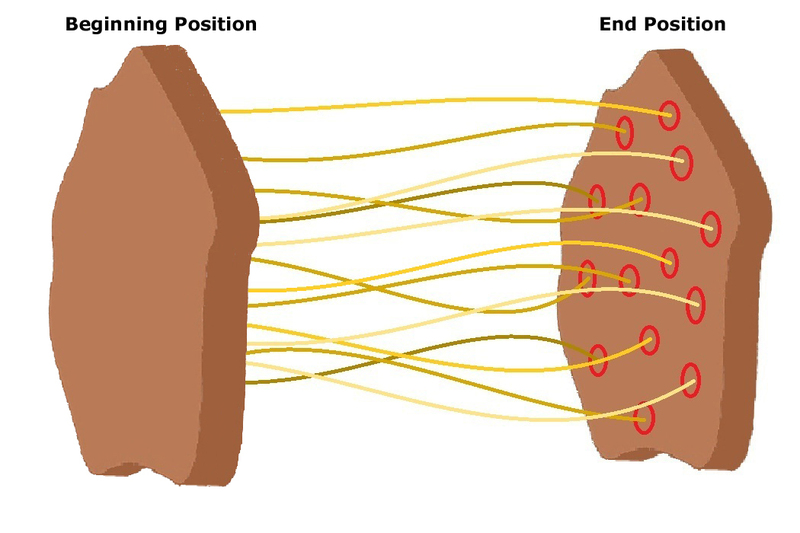 However, it is possible to twist and intertwine the strings in any number of ways without affecting how they are connected to the ends. This is a partial model of how the universe could arrive at almost precisely the same configuration through a seemingly infinite number of differing intermediate processes. I qualify this with “almost precisely” because quantum mechanics prohibits an identical outcome. The problem with this model is that it provides no explanation for why particles might be expected to follow these paths. The Higgs boson is a hypothetical elementary particle predicted in particle physics. Two prominent physicists, Holger Bech Nielsen and Masao Ninomiya, have presented the argument that the Higgs boson is capable of retroactive causality. We can visualize the strings attached to the end time template as being capable of moving from their moorings. However, the nature of the template is such that whenever the strings are not attached at the predefined positions, this causes the template to radiate Higg’s bosons. These radiated bosons cause the strings to move around at random. The further from their predefined location the strings becomes attached, the more vigorously the template radiates bosons. The closer to the predefined position the strings becomes attached, the less vigorously the template radiates bosons. When the string becomes attached within an acceptable radius of the prescribed location, Higg’s boson’s are no longer radiated. The interesting characteristic of this model is that, while it results in the universe arriving at a particular conclusion, it does not prevent free will. Note that the strings are able to assume an infinite number of configurations. It is only the ultimate outcome that is guaranteed. I will build on this model in order to develop my more detailed description of consciousness and the soul. My theories of God and how the universe was formed lead naturally into the ideas I will present here, but they are not absolutely essential. Regardless of how the universe was formed, it is apparently structured in such a manner as to permit limited indeterminacy. It is clear from observations of particles at the atomic level that the motion of matter involves a certain degree of randomness. Electrons jump around the nucleus of an atom in approximation to a wave pattern and photons jump around as they propagate through space in approximation to a wave pattern. On a small enough scale, all matter behaves in this way. 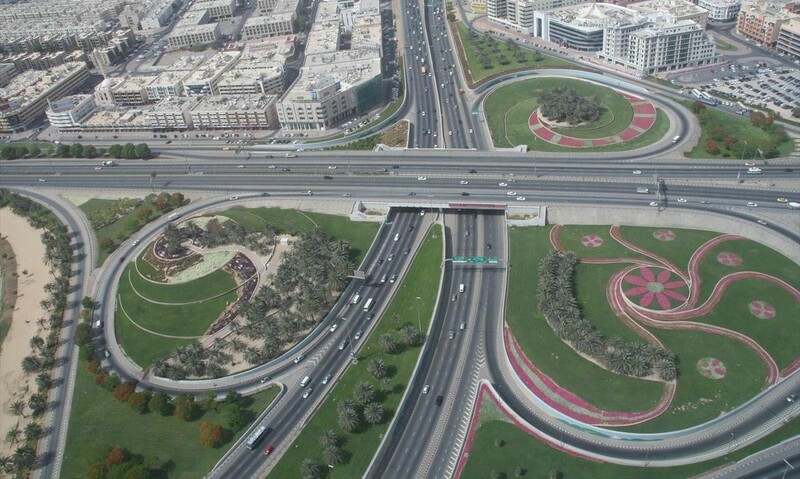 The random motion of matter can be likened to the patterns of cars driving around on freeways. The cars have a certain degree of liberty in how they can navigate, but they must remain on designated roads and they must move in a certain direction and according to a predefined set of rules. The universe we see today has limited indeterminacy. Just as the larger completely indeterminate universe applied the three laws of Aristotelian logic to force itself into some sort of logical order, our one-lower-dimensional universe is constantly trying to tighten up its own logical framework. It is always struggling to eliminate that last vestige of randomness that has been incorporated into its structure. In the process of attempting to do this, it is constantly forming choice functions comparable to, but on a much more limited scale, than the original choice function that came to be the structure of existence. It attempts to do this in every possible way. When a rock rolls down a slope at the same time a bird takes flight, the universe attempts to form a rule that a rock must always roll down a slope when a bird takes flight. When a frog eats an insect while the direction of the wind shifts, it attempts to form a rule that the wind must always shift when a frog eats an insect. When a basketball team scores a point while a fan is coughing, it attempts to form a rule that a ball must go into a basket whenever a person coughs. This type of rule formation is apparently not very successful, or else the universe would be filled with seemingly inexplicable correlations. There is another class of rule that apparently does form on occasion, though without much regularity or consistency. This class of rule has to do with the relationship between events and thoughts. When we think of a certain television show and then change the channel at random, the universe attempts to show us the television show we were thinking about. When we have a dream about an event, it attempts to either make our dream match the event or the event match our dream. This process accounts for the experience we call synchronicity. Meaningful coincidences occur because the universe is constantly attempting to put things together in a way that makes some sort…any sort…of logical sense. The really interesting process, however, is what takes place in our own heads. This class of rule has to do with the relationship between thoughts and thoughts. A living brain is extremely logical and organized, so the universe is always attempting to build on that logic and order to make sense of anything and everything. However, a living brain is logical and organized in a way that is apparently more amenable to the process of forming choice functions than completely unrelated processes such as a ball going into a hoop while a person coughs. The human brain is uniquely organized to foster choice functions with many of the capabilities of the original supreme choice function. The human brain is organized in a way that fosters the development of consciousness. A good way to see how consciousness finds its particular form is to look at the color spectrum. It is important, while considering this particular example, to keep in mind that consciousness forms to resolve indeterminacies at the quantum level, not at the level of how the brain processes color. The following is intended to illustrate how consciousness may assume its particular shape, not why it exists in the first place. The natural color spectrum contains light that goes from red to orange to yellow to green to blue and finally to violet. However, something interesting happens when non adjacent colors are mixed together. When the wavelengths of yellow and blue are mixed together, our brain averages them and imagines that is sees the color that naturally occurs between them, green. When the wavelengths of red and yellow are mixed together, our brain averages them and imagines that is sees the color that naturally occurs between them, orange. There is an actual wavelength of light that accounts for the color orange, but we also see orange when the wavelengths for red and the wavelengths for yellow are mixed together. The natural colors of the spectrum form a band that shades from red to violet. 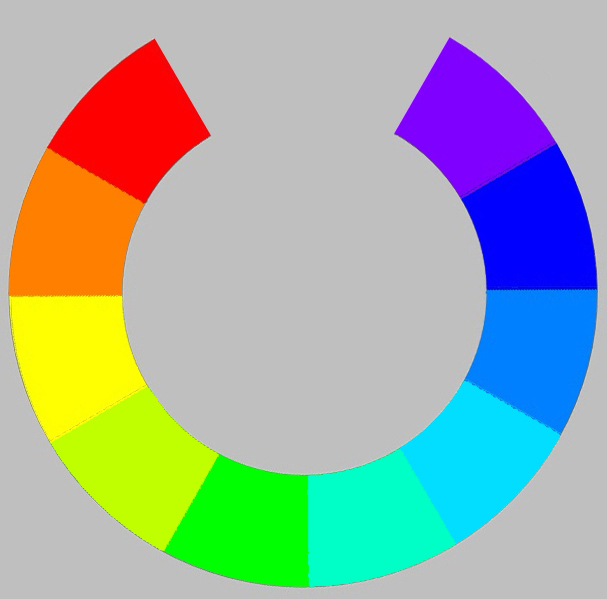 However, in the logic of our brains, the colors are bent around into a circle so that the red at one extreme and the violet at the other extreme meet. Here, something remarkable happens. In the logic of how our brains process color, the overlapping of red and violet wavelengths forms magenta. This is a very curious phenomenon, because the color magenta does not exist in the natural spectrum. Magenta is an artificial color that our brains have invented to complete the pattern of the color wheel. The most remarkable thing about this, however, is not that our brains have found a way to complete the cycle. The remarkable thing is that our conscious minds are able to perceive a color that is distinct from every other color and with all the qualia of any natural color. While our brains have formed a definition of this invented color, our minds can actually see it. We see a color, in all its vivid glory, which does not actually exist anywhere in nature. This is a perfect model of how a choice function like consciousness may take shape. The perception of the color magenta is a conscious extrapolation of our brains decision to process the mixture of red and violet as a new color. 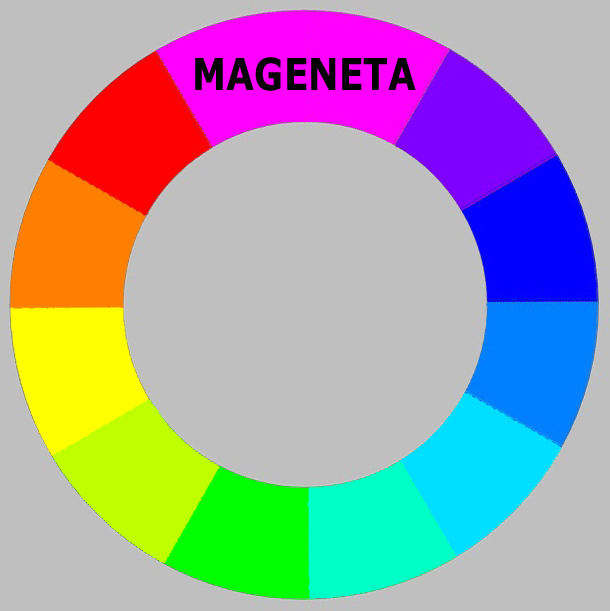 Our entire consciousness is an extrapolation of this same type, which includes the perception of the color magenta, but also includes all the other things we are conscious of, such as pleasure, pain, beauty, aroma, joy, justice, love, etc. The exact reason why consciousness forms the particular extrapolations it chooses, remains to be seen. I will attempt to explore this in a later entry. As I stated from the onset of this demonstration, it is important to realize that this discussion of color is only intended to illustrate how consciousness may find its particular form. It is not intended to explain why consciousness forms in the first place. Consciousness comes about to resolve indeterminacies at the quantum level, not at the level at which the brain processes color information. Our consciousness is apparently not a physical thing. It is not an object. It is a purely logical construct that forms in conjunction with our brains. It may not even exist in time or known space. Our consciousness perceives what our brains perceive because it is an extrapolation on the way our brains processes information. However, our consciousness also influences the way our brains processes information. Consciousness, after all, comes into existence in order to tie together the indeterminacies within our brains. At some level, the motion of particles in our brains is not quite random. In the same manner that the universe attempts to make a ball go into a hoop whenever a person coughs, it also attempts to make our brains behave in a manner that is consistent with our consciousness. It tries to make the otherwise indeterminate behavior of fundamental particles in our brains conform to the logic of the choice function, consciousness, which has formed in conjunction with our brains. In a sense, then, the way our brains follow the directives of our consciousness is an example of synchronicity. However, just as it has been impossible to find the variables that govern synchronicity, it will probably be impossible to find the variables that govern how our brains conform to our consciousness. No matter how hard we look, it will always seem to be a coincidence that our brains do what our consciousness orders. There may eventually be a way to expose the influence of consciousness on our brains. Eventually, it may be possible to make an electronic copy of the exact process that our brains utilize. Unlike our biological brains, that are uniquely suited through eons of evolution to permit this intimate connection with the choice function that is our consciousness, these electronic copies may be hard wired in a way that does not facilitate such a connection. We may discover that an exact electronic copy of our biological brains simply does not work properly. This does not mean that an electronic brain could not be built in a manner that compensates for this consciousness deficit. There is no reason to assume that consciousness is essential to the kind of information processing that our mind/brain combination performs. It is a mistake to suppose that our brains adopted the convention of relying on conscousness because that is the only way they could have formed. Evolution doesn’t care where it gets its tools…only that they work. It typically grabs the first tool that is handy. Also, keep in mind that our universe was undoubtedly structured from the onset so that the mind/brain combination would naturally form. It is apparently the design of the great original conscious choice function that creatures such as us inhabit this space. In other words, our consciousness does not exist to cater to the needs of the universe or our brains. Rather, the universe was created so that consciousness such as ours could form. For this last reason, I am of the opinion that once a consciousness forms it is somehow permanent. Where a conscious choice function goes and what it does there after our bodies and our brains have expired is a matter for further philosophical enquiry. I shall attempt this enquiry in a later blog. In the same manner that I elected to refer to the original conscious choice function as God, I shall refer the permanent choice function that forms in conjunction with our brains as a soul. Again, it only makes sense to refer to something by the name that has always been associated with it in our culture.